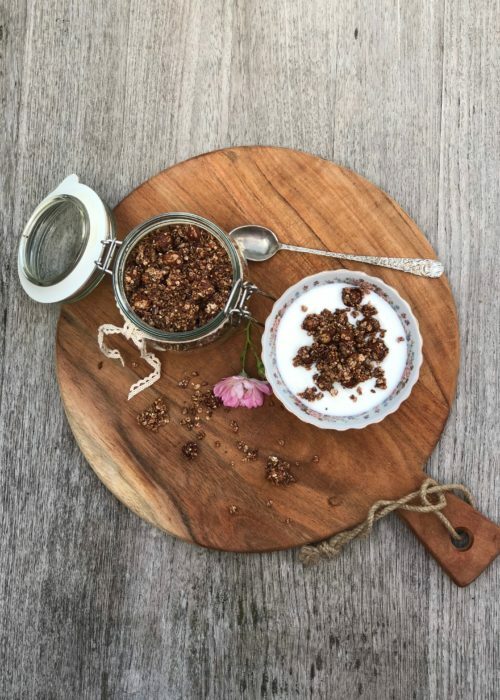 Homemade Granola ~ the easy way! Breakfast is my favorite meal of the day. I love smoothie bowls, oatmeal, muesli or just some fresh fruit – basically everything sweet (I don’t like savory meals in the morning) that goes in a bowl. To satisfy my sweet tooth, I enjoy getting creative with different toppings. 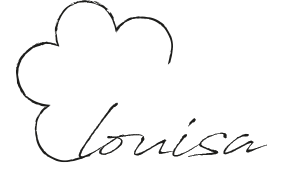 At the moment I´m craving chocolate and hazelnuts. 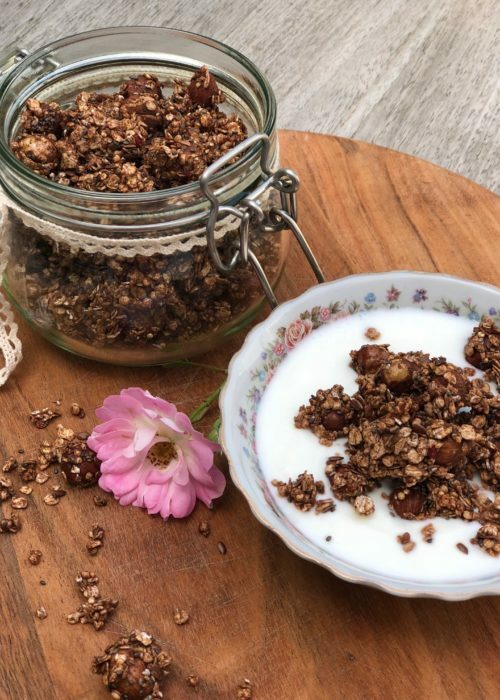 So here it is, my Homemade Granola ~ the easy way! 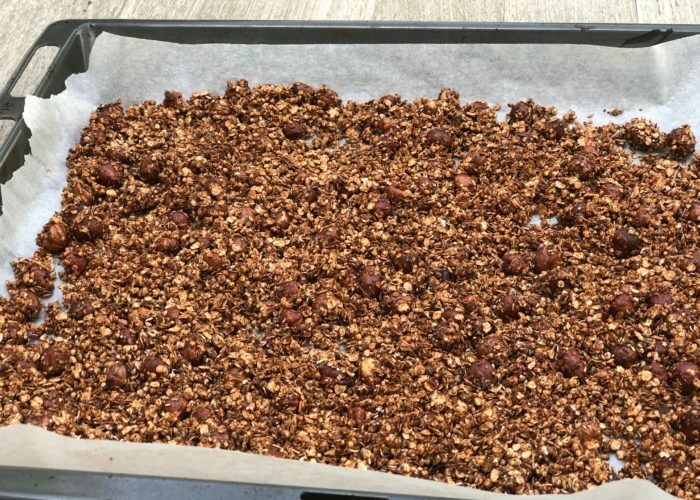 Nearly every muesli/ granola from the supermarket consists of a big amount of sugar, so I created my own more healthier version.